North Korea is a country shrouded in mystery. It’s a nation that sees very few tourists, with estimates of only 5,000-6,000 per year – that’s less than The Natural History Museum in London gets in a day. It’s probably for good reason that tourist traffic is so low: current tensions with the Western world are high, and the devastating death of US student Otto Warmbier last year has caused the FCO to advise against all but essential travel to North Korea. Despite this, curiosity got the better of me and I decided to visit North Korea last year. I’ve been fascinated by the country’s history and political situation for many years and wanted to see it for myself. Tourists are only allowed to visit with a guided tour accompanied at all times by two government officials, and it is strictly forbidden to wander off unsupervised. I must confess, as my train crossed the border between China and North Korea, anxiety washed over me. “Why am I doing this?” I thought to myself. I looked around my carriage and saw that my companions also looked nervous, and conversation had come to an abrupt halt. The train had also come to a stop. Military flooded onto our carriage, locked the doors and searched thoroughly through every bag. After a long time at the border, the train began to move again – we were in North Korea. The view out of the window graced us with lush countryside; rolling hills, rice plantations and a soaring blue sky. As we got closer to Pyongyang, civilisation slowly began to spring up. I saw a small boy, no older than 7 years old, riding his bicycle uphill with half a dozen dead chickens strapped to the back. From the train, I could tell he was dripping with sweat and completely exhausted. The Humans Rights Watch have accused that North Korea force children to endure hard manual labour, such as farm work and construction – I worried for this boy on the bicycle. 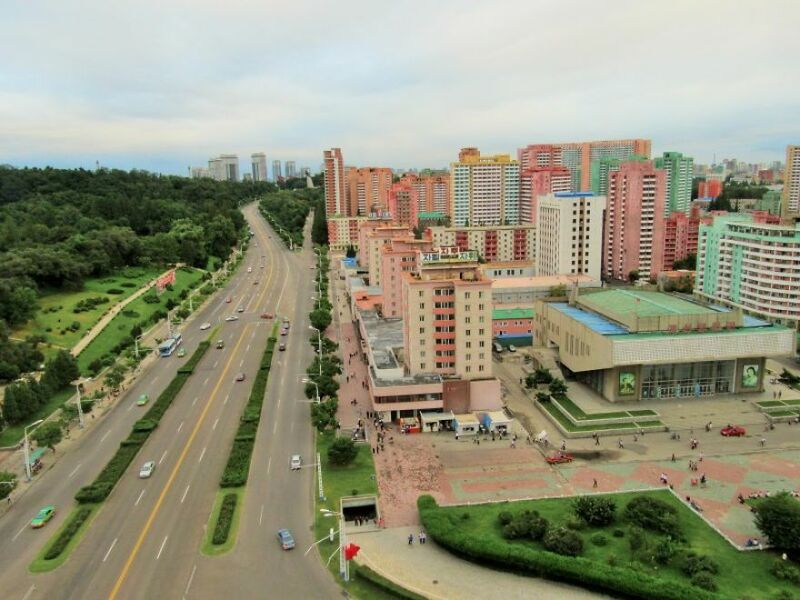 The capital city of Pyongyang is home to almost 3 million people, yet it was eerily quiet. On visiting a capital city, one might expect a confluence of bustling high streets, spirited conversation and chaotic traffic. 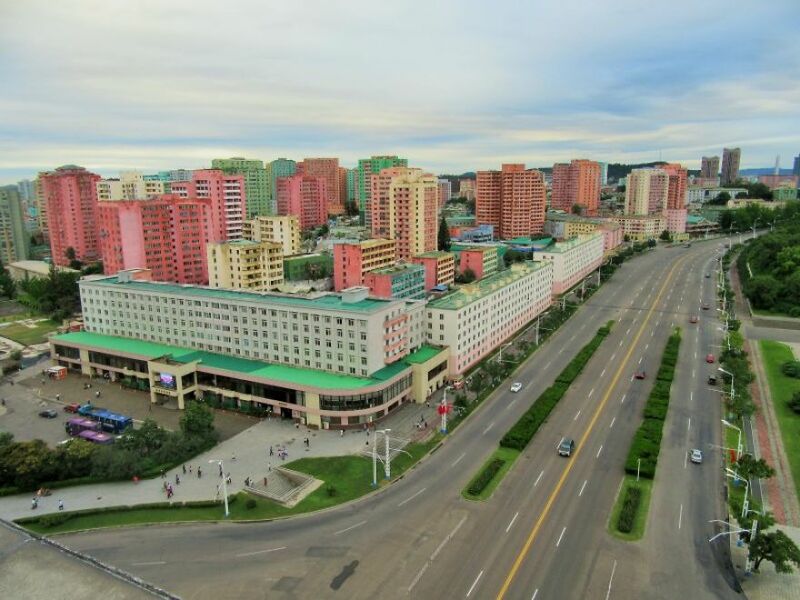 Pyongyang was awash with monuments and pastel-coloured buildings, yet the roads were quiet and conversation was hushed. I documented as much as I could, but given the nature of North Korea, we were not allowed to photograph anything we wanted. We had to ask for permission to take photos, and were told not to photograph the military, construction sites or labourers. A lot of what I saw shocked me. We visited a library, and while flicking through an English language learning book, I was astounded by some of the sentences used to ‘teach’ English. 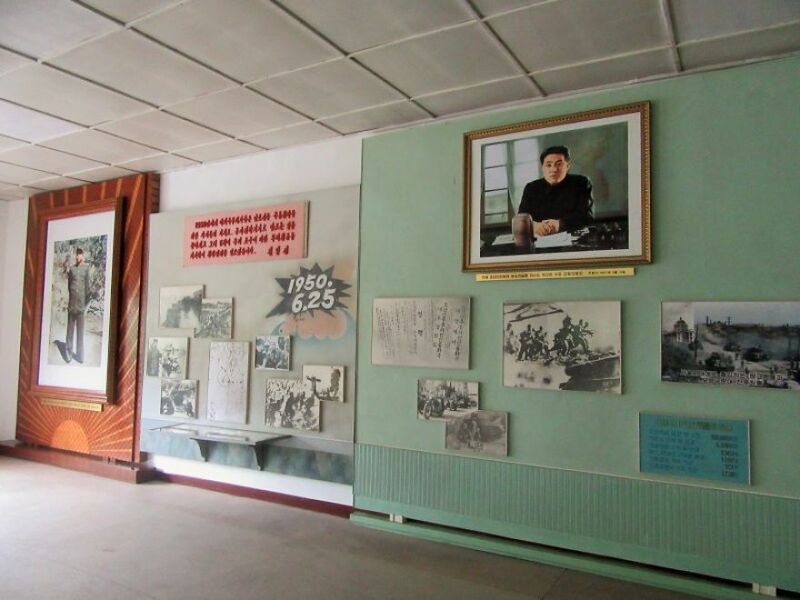 “The US imperialists have been the sworn enemy of the Korea people for more than a hundred years ago” and “The US imperialists killed one fourth of the population of Sinchon County during the 52 days of their occupation” are just two examples. Chilling. 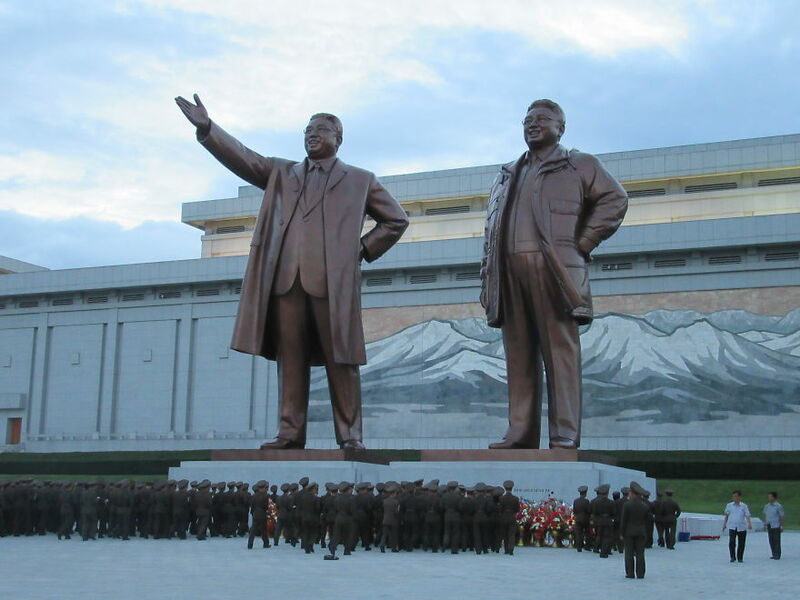 I’m confounded by North Korea; it’s so difficult to untangle how much of what I saw was real. Do check out my documentary below for an inside look into North Korea. 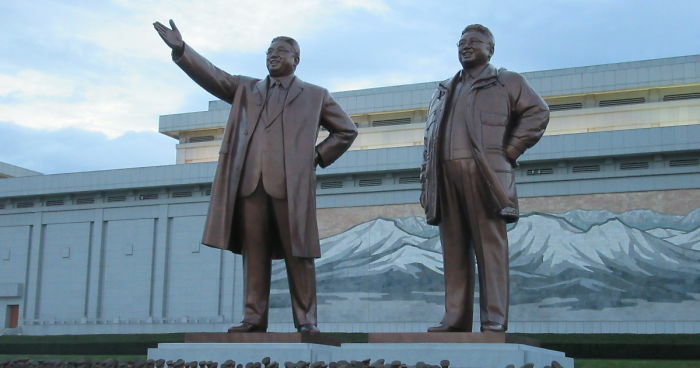 The Monument to Party Founding – built to celebrate the Worker’s Party of Korea. I found a copy of Harry Potter in The National Library. I thought it was interesting to discover what Western literature they had. 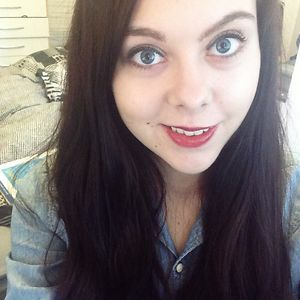 Lauren is a freelance travel writer from London, United Kingdom. I really liked the Harry Potter in the library. People need stories and imagination everywhere... though it is not clear whether people read it actually. Curious what country are you from?